The Volkswagen Golf R 400 Concept made its debut at the 2014 Beijing Auto Show and immediately, the hot hatch became one of the most exciting models on display. The positive reception was heard all the way in Germany and in response, VW has confirmed that the Golf R 400 Concept won’t be a concept for very long. 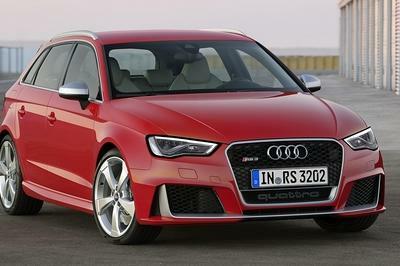 Equally important, Volkswagen’s R&D boss Heinz-Jakob Neusser also revealed that the production model will produce more horsepower than the "400" in its name will alludes to. 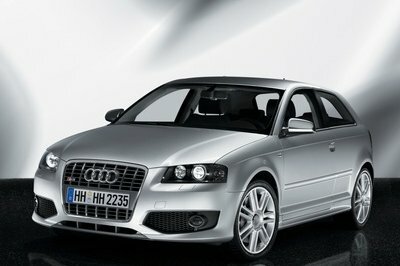 All this should ring music to the ears of those pining to see a production version of the Golf R 400 Concept. 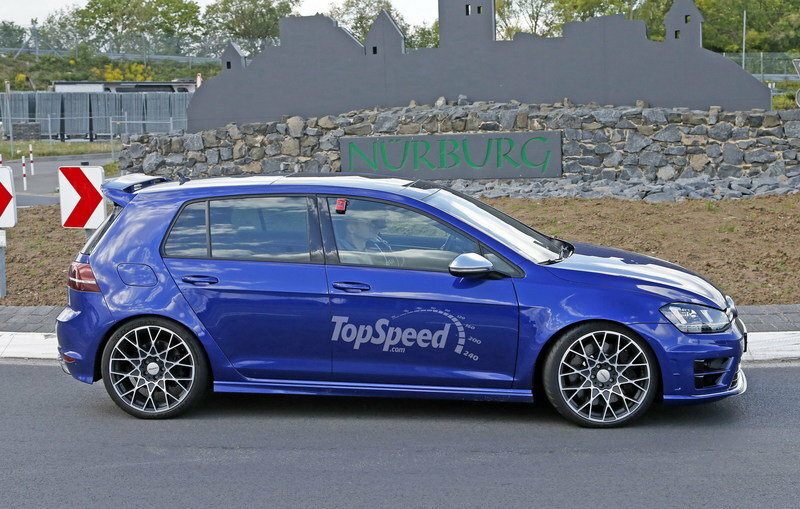 Once its built, the Golf R 400 will end up being the crown jewel of the entire Golf lineup, which already includes luminaries like the Golf GTI and the Golf R.
All that though and we still can’t get over the treat of seeing a 2.0-liter, turbocharged four-cylinder engine inside the sports hatch packing 400 horsepower. 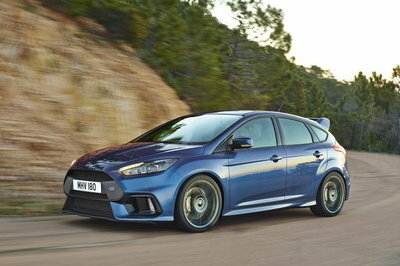 On top of that, it will also carry a dual-clutch automatic transmission and a 4Motion all-wheel-drive system. Though specific performance details haven’t been announced, it’s reasonable to expect a 0-yo-60-mph time of under four seconds to go with a top speed of 174 mph. 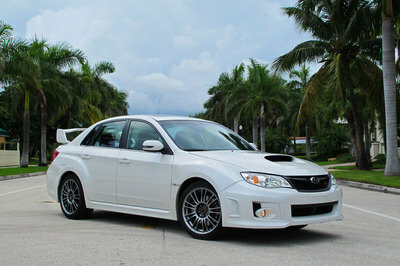 In the end, those numbers may even be conservative, if the production model has more than 400 ponies on tap. 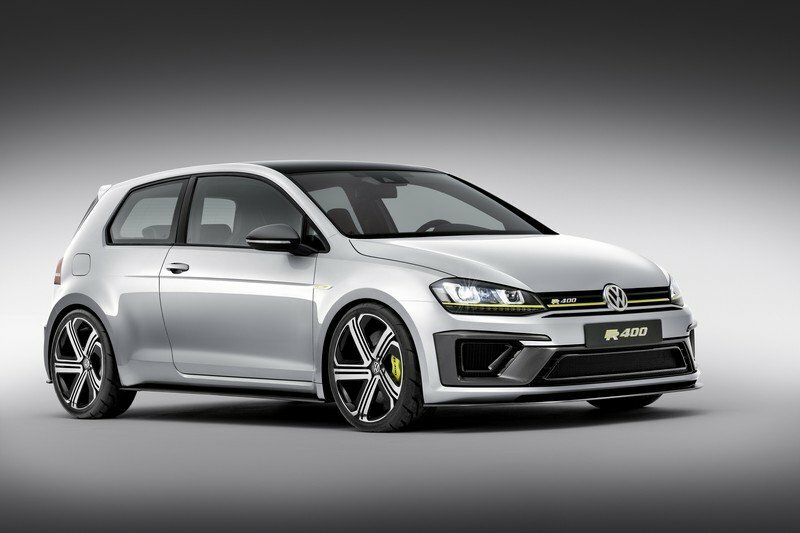 Updated 11/13/2014: British magazine CAR reports that the production version Golf R 400 will be officially unveiled at the 2015 Frankfurt motor show with deliveries set to start shortly after. The model will be priced at around €50,000 — about $62,000 as of 11/13/2014. Note: Concept version pictured here. 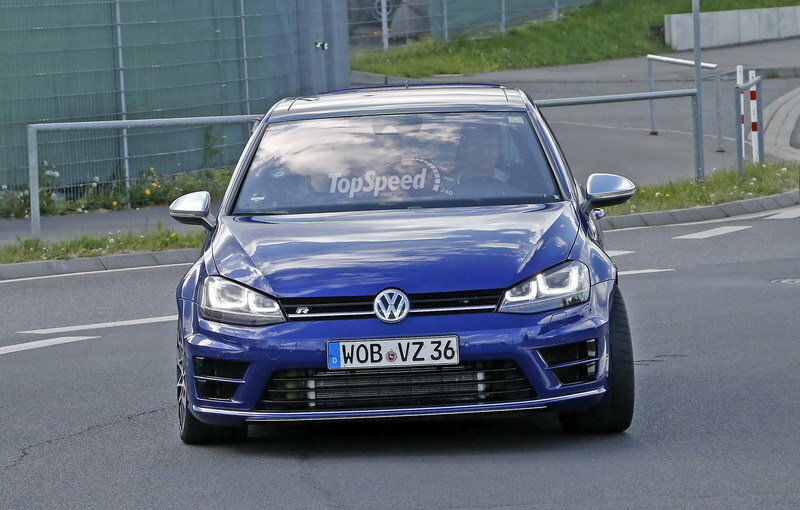 Click past the jump to read more about the Volkswagen Golf R400. 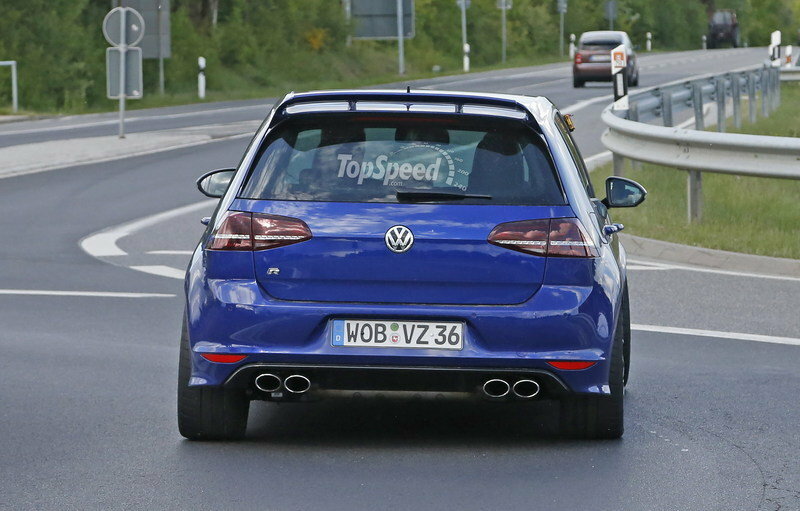 A 400-horsepower Volkswagen Golf R is venturing into the territory of a car like the Mercedes A45 AMG, making it a worthy competitor to the turbocharged, fire-breathing AMG hatchback. 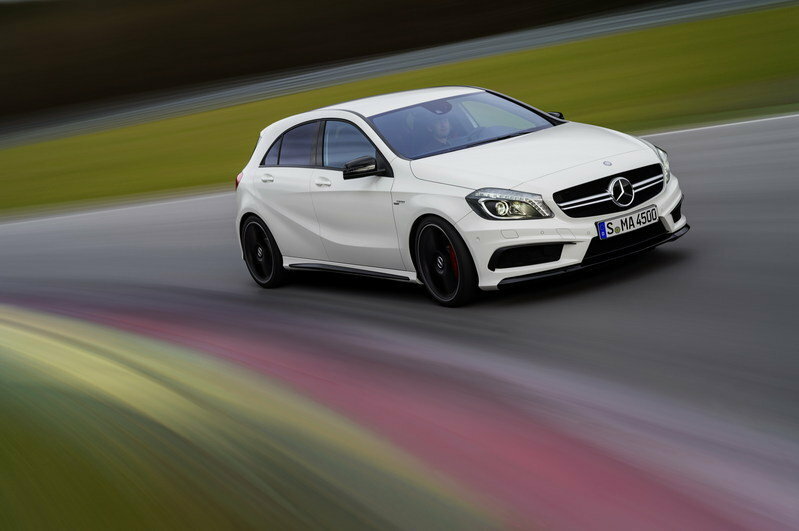 It may be the smallest car in Benz’s lineup, but the A45 AMG is far from a slouch. The 2.0-liter, turbocharged engine from AMG develops 360 horsepower and 331 pound-feet of torque. Seldom does it shred its tires to bits because this car has 4MATIC all-wheel-drive to maximize traction. In the middle of the A45 AMG’s mechanical gadgetry is a seven-speed double-clutch gearbox with paddles behind the wheel for manual select. It is a five-door, AMG hatchback and it goes from 0 to 62 mph in 4.6 seconds. No, that’s not an oxymoron; just a sporty and powerful AMG pocket rocket. 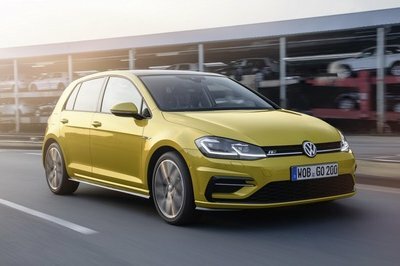 The Volkswagen Golf R certainly looks the part of an "all-business" hot hatch, thanks to a mean and sleek stance that manifests itself in the redesigned two-tone front bumper, the carbon-fiber splitter, the gloss black grille and the horizontal yellow stripe that goes from one headlamp to the other. 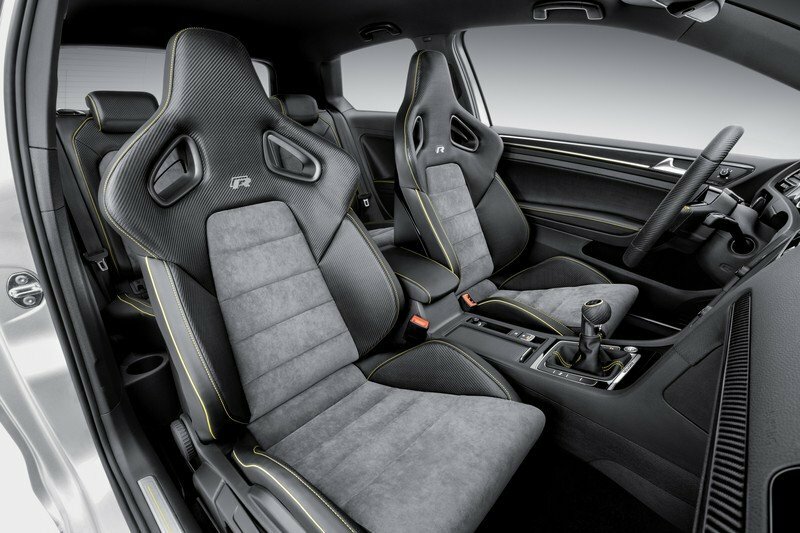 The Golf R 400’s interior is not overly different when compared to the regular Golf R’s cabin, but it does sport a number of additional features that enable it to stand out. The most noticeable additions are the motorsport shell seats that come with integrated head restraints and belt openings. 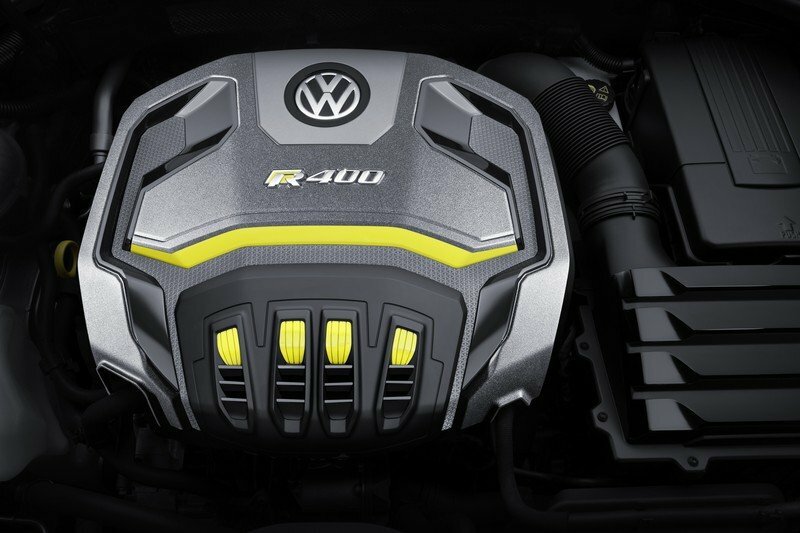 The most important change lies under the hood, where Volkswagen’s high-performance R division managed to squeeze 395 horsepower and 332 pound-feet of torque out of the turbocharged, 2.0-liter four-cylinder engine.